The Mets were chasing the St. Louis Cardinals for the National League East crown. They had lost the first two of the four game series with the Padres and were hoping to get wins in the third and final games. The Padres were also chasing the Los Angeles Dodgers in the National League West and needed a win to stay in contention. A crowd of 37,350 filled Shea Stadium for the Sunday afternoon game. It was a pleasant summer day with temperatures in the 70s. Gooden started for the Mets while the Padres started Eric Show. Show had a 9-7 record for the season and was coming off a complete-game win against Montreal four days earlier. After Gooden got the Padres out in order, the Mets scored three runs in the bottom of the first inning to give him a comfortable lead. Leadoff batter Lenny Dykstra singled. He reached second when Padres second baseman Tim Flannery dropped a grounder hit by Keith Hernandez. Gary Carter’s fly ball moved Dykstra to third before Darryl Strawberry doubled to score both Dykstra and Hernandez. Consecutive singles by George Foster and Howard Johnson brought Strawberry home to give the Mets a 3-0 lead. Show ended up on second and Flannery scored the first Padres run on the fielding misplay. After Gooden struck out Garry Templeton, he threw another wild pitch to move Show to third. Tony Gwynn singled on the next pitch to make the score 3-2 before Gooden could get the final two outs. Gooden recovered and pitched well for the next two innings. The score remain unchanged until the bottom of the fifth inning. After getting Hernandez and Carter out in the bottom of the inning, Show gave up a solo home run to Strawberry. It was Strawberry’s 20th home run of the season. The Mets now led, 4-2. Gooden gave up a double to Steve Garvey in the top of the sixth inning. A fly ball by Graig Nettles sent Garvey to third. He scored when Terry Kennedy hit a grounder to the right side of the infield that left the only play at first. The Mets’ lead was now just one run. Mets manager Davey Johnson removed Gooden in the bottom of the sixth inning for pinch-hitter Clint Hurdle. When the Mets took the field in the seventh, Roger McDowell came in from the bullpen to try to hold the Mets’ one-run lead. The Mets added four insurance runs in the bottom of the seventh. Tim Stoddard had taken over the pitching duties for the Padres. Hernandez started the inning with a single. Gary Carter followed and hit a double. Stoddard intentionally walked Strawberry to set up an out at any base. Foster then hit the first pitch for a single that brought home Hernandez and Carter. Howard Johnson’s fly ball to right moved Strawberry to third. Davey Johnson now sent Rusty Staub to the plate to hit for Rafael Santana. Staub had become one of the best pinch-hitters in baseball, setting a major-league record with 25 pinch-hit RBIs in 1983.3 That same season he tied a National League record by getting a hit in eight consecutive pinch-hitting opportunities. He added to his pinch-hitting marks with a single that drove in Strawberry. Larry Bowa ran for Staub and scored the fourth run of the inning when McDowell doubled off Stoddard. The Mets now led 8-3. McDowell had all the runs he needed to ensure Gooden’s win. Over the next two innings, he did not allow a baserunner. Although they didn’t need the run, the Mets added one more in the eighth. After Hernandez and Carter had consecutive singles, Strawberry hit his second double of the game to score Hernandez. It was Strawberry’s fourth RBI in the game. The Mets won 9-3 to stay one game behind the Cardinals in the National League East race. Usually Gooden doesn’t need any help from his teammates but this day he welcomed it. Johnson told reporters: “He’d done it all year long by himself. I think it was only fitting that we help him out on this occasion.”5 It was Gooden’s 14th win in a row, dating back to May 30. Although the win put Gooden among the best in baseball, his season was not yet over. Gooden went on to win four more games, three of them complete games. He won a league-high 24 games while finishing with the lowest ERA (1.53) in the National League as well as the most strikeouts (268). Those statistics earned Gooden the pitching triple crown that season. He won the NL Cy Young Award and finished in fourth place in the National League MVP voting. In addition to the sources cited in the Notes, the author also used the Baseball-Reference.com, Baseball-Almanac.com, and Retrosheet.org websites for box-score, player, team, and season pages, pitching and batting game logs, and other pertinent material. 1 Sam Goldaper, “Praise for Gooden From Pitching Elite,” New York Times, August 26, 1985. 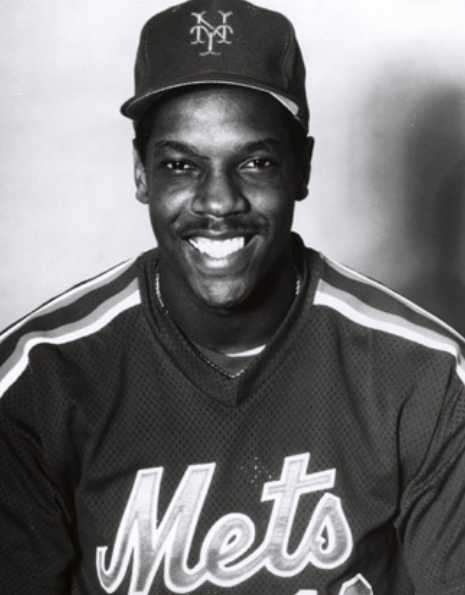 2 Jim Naughton, “Mets Pitcher Dwight Gooden Becomes the Youngest 20-game Winner in MLB History in 1985,” New York Daily News, August 25, 1985. 3 “The Not-Quite-Legendary in New York Sports History: Rusty Staub,” Bleacher Report.com, March 10, 2010.